The Supreme Court bench of Chief Justice Ranjan Gogoi and Justice S. K. Kaul on Tuesday referred to the Constitution Bench the issue of a “foolproof and better”, independent and transparent system for the appointment of the Chief Election Commissioner, noting that the matter has never been debated before and requires a closer look at the relevance of Article 324(2). 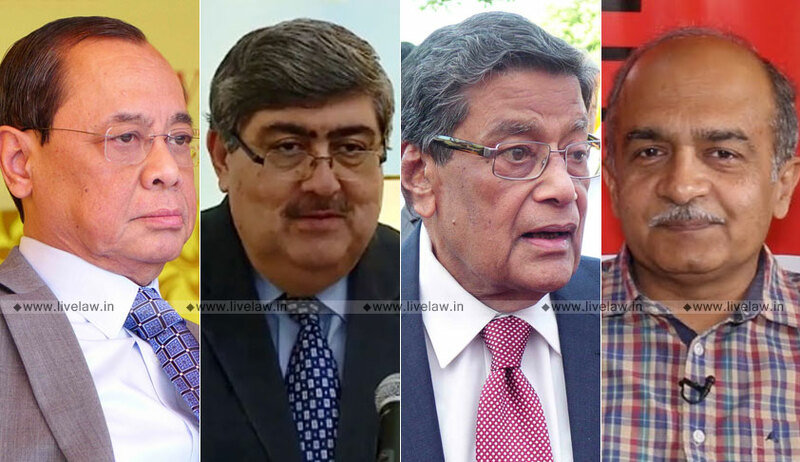 When the Chief Justice inquired what the procedure for appointment was at present, Attorney General K. K. Venugopal replied that the Cabinet makes the selection in pursuance of the Transaction of Business Rules of 1961. “There is no case of abuse by any election commissioner. Only the most eminent persons who the government regards as independent are so appointed....(Maharaj Sri) Nagendra Singh was a very independent individual who even became the President of the International Court of Justice....the post (of the CEC) has been held by the likes of (J. M.) Lyngdoh, (N.) Gopalaswamy, (V. S.) Sampath and (S. Y.) Quraishi”, continued the AG. “Your Lordships must have regard to appointments to at least 15 constitutional offices where no question of any committee arises-the Comptroller and Auditor General, the governors of states, the Chairperson and members of the UPSC, of the Finance Commission, the National Commissions for the SC and the ST, the Attorney General and the Advocates General. Similarly, even as far as the judges are concerned, the Appointment is to be made by the President in consultation with the CJI; the collegium system is introduced under the judicial pronouncements....the Constitution intends these posts to be a part of the executive function and not the judicial function....”, advanced the AG. “The parliament must make a law (under clause (2) of Article 324 for appointment of the Chief Election Commissioner and other Election Commissioners) but the court cannot direct the introduction of the law. The Parliament has made a law as to the conditions of service....If you are touching one post, then all of the other constitutional posts will be affected too as all are intimately connected”, was the AG’s case. “The removal process for all the posts you named is not the same. Can they be equated?”, inquired Justice Kaul. The AG confirmed that the procedure for removal is the same, except in the case of the Finance Commission. “When the provision for selection of the election commissioner was being inserted in the Constitution, Dr. B. R. Ambedkar had said we hope and expect that the parliament would make a law". "Article 324(2) deals with the appointment of the Chief Election Commissioner and other Election Commissioners. When this matter was debated in the Constituent Assembly, it was expected the Parliament would provide for some independent collegium for the appointment but it has not been done so far....”, he elaborated. “This court, in the cases of the CBI director, the police chief and the Central Vigilance Commissioner, has observed that where there is a gap in the law, the court must exercise its powers under Articles 32 and 142 and plug such gap in the interest of the integrity and independence of such institution, and till such time a law is laid down, the directions so issued will hold the field....even in respect of judges, it has been held that who makes the Appointment is very important if the institution is to be protected against government interference....the Election Commission, with its power to control and superintend the elections, is certainly the most important institution....”, he had pleaded. Mr. Bhushan submitted how various election commissioners have been in favour of a more transparent system of appointment, how the politicians in opposition have backed the same but on coming in power, they have deemed it appropriate for the government to make the selection. Finally the Bench has referred the matter for the consideration of Constitution Bench.